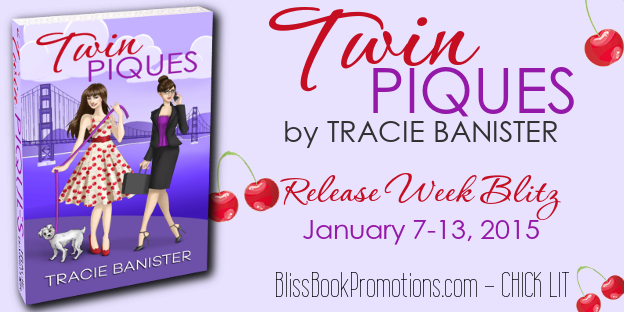 Congratulations to my friend Tracie Banister, who is releasing her third novel, Twin Piques, today. I had an opportunity to see an early copy of this novel, and it has a lot of intrigue and fun for fans of Chick Lit. 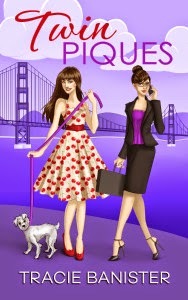 Twin Piques tells the story of Sloane and Willa, twins who look everything alike, but are nothing alike in personality. Told from both perspectives, I truly enjoyed being able to see what each sister was experiencing from her perspective. 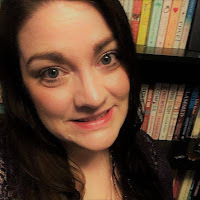 I'm a fan of Tracie's work (read my reviews here and here), and I'm looking forward to picking up the final version of this book now that it is available for sale. 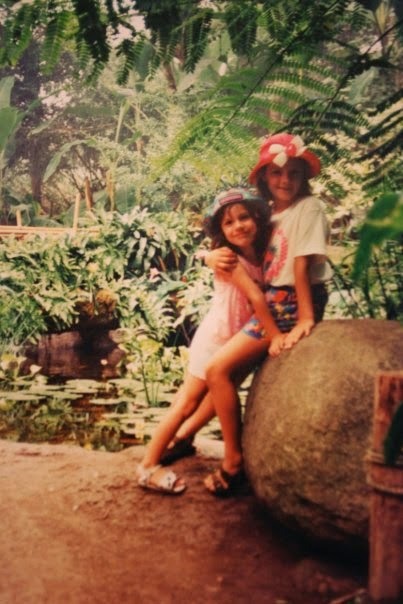 In honor of Tracie's new book about sisters, I'm sharing five things I love most about the relationship I have with my sister, Sarah. 1. We have history. We have a whole lifetime of memories. We've seen the same movies and TV shows. We've been at the same family dinners. While we may not always have the same sense of humor or the same point of view on a topic, we're comfortable sharing our perspective with each other without having to worry about judgement. Also, between the two of us, one is usually bound to remember something that happened and the other forgot, which is pretty handy. 2. She listens to me. Whether it's complaining about the awful day I've had or dreaming about what I would like to be when I grow up, my sister is my best sounding board. She listens and offers good advice (even if I'm not sure I want it at the time, I always come to realize she made an excellent point). And she listens to the little things. 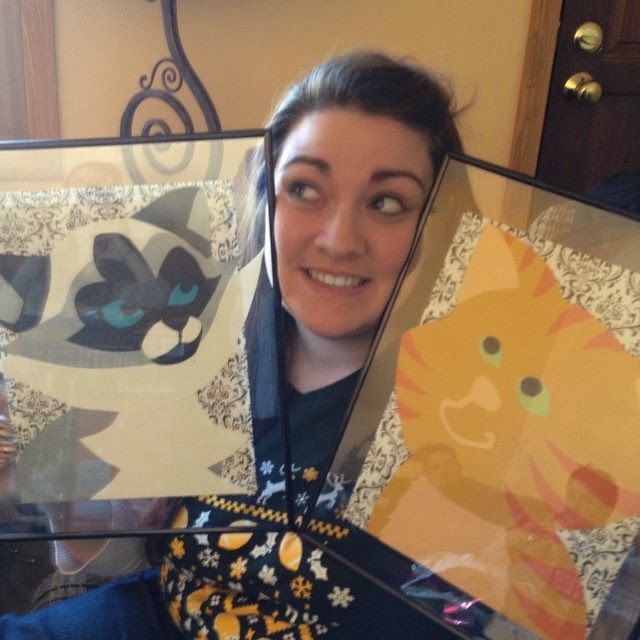 Like when I said I wanted her to make me paper cutout pictures of the cats. Ultimately, they made it under the Christmas tree. 3. She indulges me and my schemes. Within reason. While I like planning and structure in my life, I also like some pockets of spontaneity. 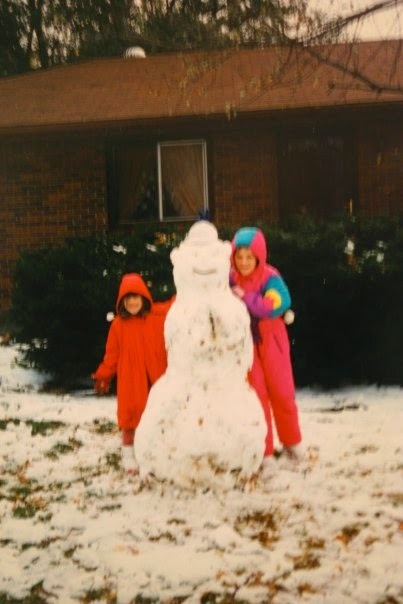 Whether I'm coming to Sarah with a long-term plan, like wanting to go ice skating on Christmas Eve or a short-term plan like wanting to build a snowman, my sister is usually game. 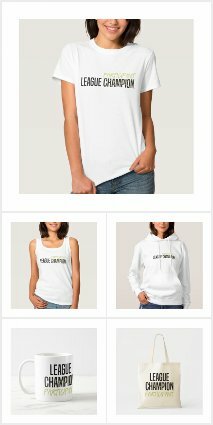 Unless it's ridiculous. Then she's there to talk sense into me. 4. How proud I am of her. 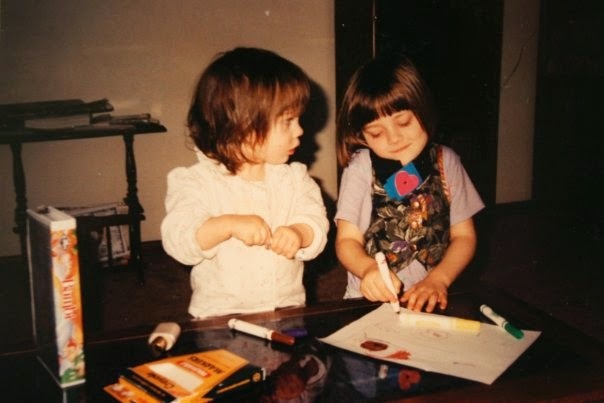 Sometimes I find myself looking at the amazing twenty-five-year-old woman my sister has become, and I remember helping her learn to tie her shoes as a tot. I was proud of her then, just like I was proud of her when she graduated high school and college. And I am proud of her now as she does things like hike the Grand Canyon rim to rim, volunteers at an orphanage in Haiti, or works two often thankless jobs with a resolve to do her best. 5. She's my best friend. That description says it all. You don't always get to pick your family, but in my case I totally lucked out. Again, congrats on the new release, Tracie! 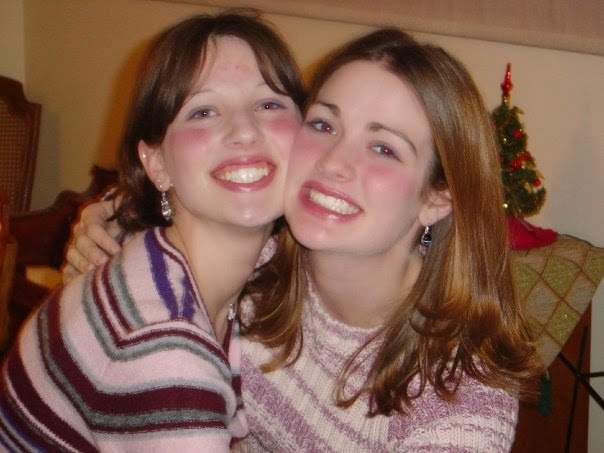 Aw, Laura, I got verklemmt reading this lovely tribute to your sister. Having a sister is such a blessing; there's no other relationship like it!